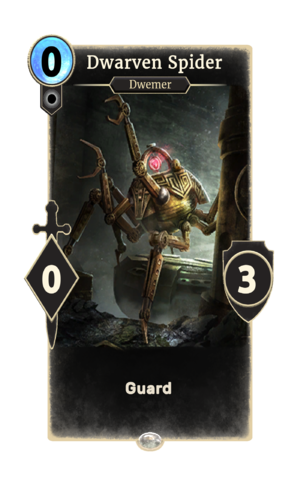 Dwarven Spider is a common Neutral creature card. It is part of the Core Set. Dwarven Spiders have appeared in nearly every main Elder Scrolls game.